While we are all at risk, and indeed many of us are consuming far more sugar than we should on a daily basis, children face the biggest threat. In an attempt to raise awareness among the population, the government's Change4Life campaign recently developed a video called Sugar Boy, which throws into harsh reality just how much sugar kids today are eating - on average, a whopping 5,543 sugar cubes a year, which is the equivalent to the average weight of a five-year-old! The video draws particular attention to the damage this amount of sugar can have on the teeth, as well as warning of the increased risks of diabetes, some cancers and heart disease in the future. 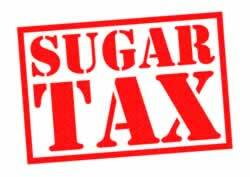 With the recently announced sugar tax coming into play in April 2018, the price alone could act as a deterrent and encourage people to buy fewer sugary drinks. Others believe that education is key - if people better understood the dangers of excess sugar and became more aware of what they were eating and drinking, this would be far more effective. As dental professionals, we tend to agree with the latter idea. Promoting all round wellbeing rather than simply dental health, we can help raise awareness among our patients of the potential risks of sugar. 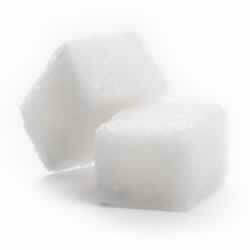 We can also suggest methods to help minimise the dangers, such as simple and effective oral health adjuncts clinically proven to remove sugar and plaque. The Waterpik® Water Flosser is an ideal tool for a wide range of patients, shown to remove up to 29% more plaque than string floss.